You’re all invited to UNCOVERED – Nicosia International Airport – Exhibition & Panel which opens on 23 September and will run until 23 October 2011. The opening night [invitation here] takes place from 19:00-21:00 at Ledra Street/Lokmacı Buffer Zone, and the opening hours of the exhibition is 10am-8pm daily. [Full information in press release here]. There will also be a panel discussion on 24 September from 2:30-7:30pm at the Home for Cooperation in the Buffer Zone. 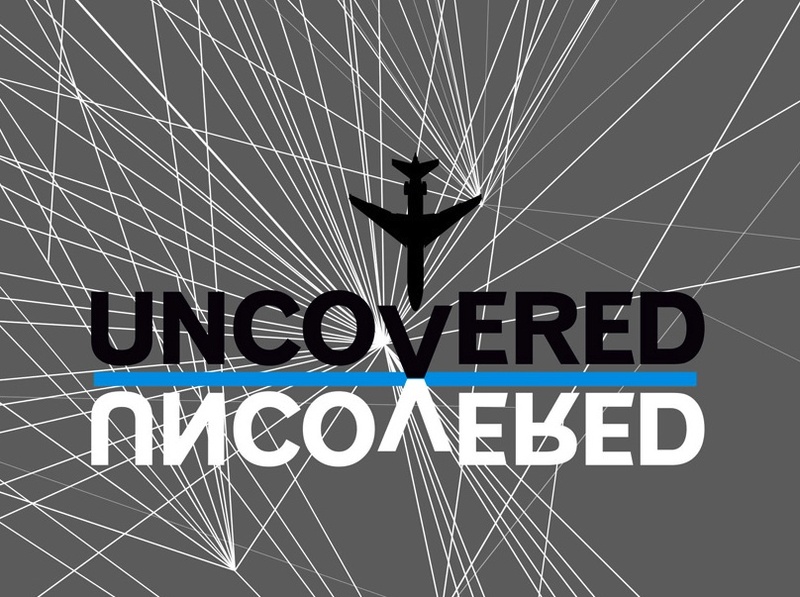 UNCOVERED is a three-year research based art project, divided into two phases, and its area of investigation are the issues stemming from the prolonged condition of the closed Nicosia International Airport. The title of the project is a word-play UN+COVERED reflecting on the role and presence of the UN at the airport since the latter was declared a United Nations Protected Area following the hostilities on the island in the summer of 1974, resulting in the de-facto division of the island and the creation of a buffer zone. The United Nations continues to facilitate Peace negotiations between the two sides. The project aims to explore notions of memory, commons and control mechanisms, as these arise out of the status of a closed-off airport in a space of conflict. Lying abandoned inside the buffer zone, off limits to the local communities, the Nicosia Airport represents a spatial order generated by 37 years of UN control in the context of a protracted conflict between the Greek Cypriot and Turkish Cypriot communities. The once-bustling Nicosia airport served as the central port of entry and departure in a newly independent country in the wake of post-colonialism. The novelty of its architecture, with its much-hailed new terminal, has acquired a rich patina of forgetting, a monument to a failed modernism while at the same time remains in a state of suspended animation. The first phase has concentrated on cultural production in Cyprus and the commissioning of eight projects by Greek Cypriots and Turkish Cypriots, including Özge Ertanın and Oya Silbery, Görkem Müniroglu and Emre Yazgin, Vicky Pericleous, Erhan Oze, Andreas Savva, Zehra Sonia and Gürgenc Kormazel, Socratis Socratous, Demetris Taliotis, Constantinos Taliotis and Orestis Lambrou. The exhibition of the projects runs from 23 September – 23 October 2011. On Saturday 24 September in the morning there will be a guided tour of the exhibit, given by the curators and a panel discussion in the afternoon with Monica Griznic, Lamia Joreige, Niyazi Kizilyurek , Socrates Stratis and Jack Persekian moderated by Basak Senova and Pavlina Paraskevaidou, followed by a screening of Anton Vidokle’s New York Conversations. An accompanying book will be published in October 2011 and includes contributions by Stavros Stavrides, Bulent Diken, Alex Galloway, Abdoumaliq Simone, Jalal Touffic,Michael Hardt and Antonio Negri, Dervis Zaim, Mushon Zer-Aviv, Pelin Tan, and Socrates Stratis, together with essays from the curators and sections devoted to the archive and the artists work. Özge Ertanın and Oya Silbery use various media to investigate and question social and political situations in Cyprus with black humour. As a response to the protracted idleness on the island, they work on a website for the Nicosia International Airport with information and data that function as though the airport was active. Nevertheless, the ironic content of the website reveals the actual state of the airport, once a user starts navigating through its pages. Görkem Müniroglu works with both sound and image and for this project, he collaborates with Emre Yazgin, a sound engineer, to create a sound installation. Müniroglu aims to revive the dead energy of Nicosia airport by playing it as a musical instrument. For this installation he has produced soundtracks, which consist of series of composed and edited sound recordings, taken from the airports at Nicosia, Larnaca and Ercan. Erhan Oze investigates how the war of sovereignty over Cyprus has been extended to the electromagnetic field and the island’s air space. The artist highlights that tactic of intercepting radio signals as both Ercan Air Control Centre and Nicosia Air Control Centre try to exercise control over the FIR space and ascertain sovereignty. The artist presents interviews with air traffic controllers from both sides where each presents their side of the problem, while Erhan also maps the airmisses over Cyprus’ air space. Vicky Pericleous presents a multi-media installation that includes video images from the airport and interviews conducted by the artist. The work is a collage, a fragmented aural and visual narrative. The storyline attempts to reconstruct the airport in space and time, blurring reality with fiction, as though a journey back in memory. Yet this is frustrated by the constant change of frames in the montage. The viewer is being denied access to the airport. Andreas Savva reflects on the notions of alienation and anticipation in relation to the peace talks in Cyprus. One of the most enduring images from Nicosia International Airport is the rows of dusted seats in the departures lounge that were originally designed by Pambos Savvides. Savva presents replicas of these seats. For his installation he places them at an inconspicuous place, inside the buffer zone, the passageway between south and north checkpoints. Some visitors might recognize them, while for others they will be a novelty or a curiosity. In either case, they extend an invitation to sit down and talk. Through her installations Zehra Sonya examines diverse socio-political issues. For this project she collects found objects and collaborates with Gürgenc Korkmazel, a poet and writer, who writes semi-documentary stories about them. These stories blend reality with fiction set in a documentary tone. Sonya processes these stories and objects with photographs as collages as an installation. A booklet accompanies the installation including Gürgenç Kormazel’s stories and her collages. Socratis Socratous foregoes the news reportage style and uses his camera to map human activity. The artist ignores official narratives and concentrates instead on the mundane and everyday. His photographs look at Nicosia airport behind the scenes, shifting attention from the daily references to the peace talks and the nostalgic image of the modernist buildings and the memories it embodies, and looks at the silent stories that unfold behind the headlines. The data collecting team is Özge Ertanin, Eleni Flouri, Giorgos Chrysostomou, Argyris Fellas, Andreas Aristodemou, Görkem Müniroglu, Oya Silbery, Zehra Sonya, Costas Americanos, Argyris Adamou, Maria Charalambous, Christoforos Zacharopoulos, and Maria Tsangaride. The visual identity of the project is developed by Gökçe Sekeroglu, Xenios Symeonides, and Basak Senova. The posters and the book are designed by Gökçe Sekeroglu and Xenios Symeonides. The artist booklets and website are designed by NOMAD. The venue building is offered by the Kykkos Monastery. The printing of the book and all accompanying publications is sponsored by the Phileleftheros Group. The panel and book is in part supported by the Open Society Foundation. The panel is hosted by the Home for Cooperation. Catering is sponsored by Cafe Biyer and Azbom Bakery. Computers are sponsored by Trace Computer Ltd. The exhibition is presented under the auspices of the United Nations Good Offices Mission in Cyprus with the support of UNDP-ACT. We hope you're all free to join us on 24 September for the ultimate in peace events! 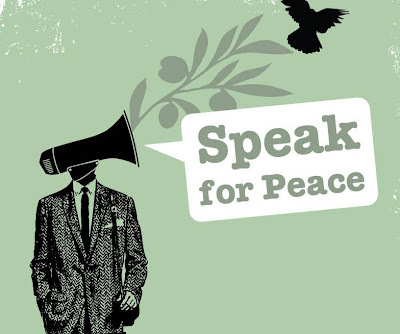 CCMC will be hosting a gathering of its member organisations, friends and colleagues to celebrate the International Day of Peace at its premises in Nicosia's buffer zone. 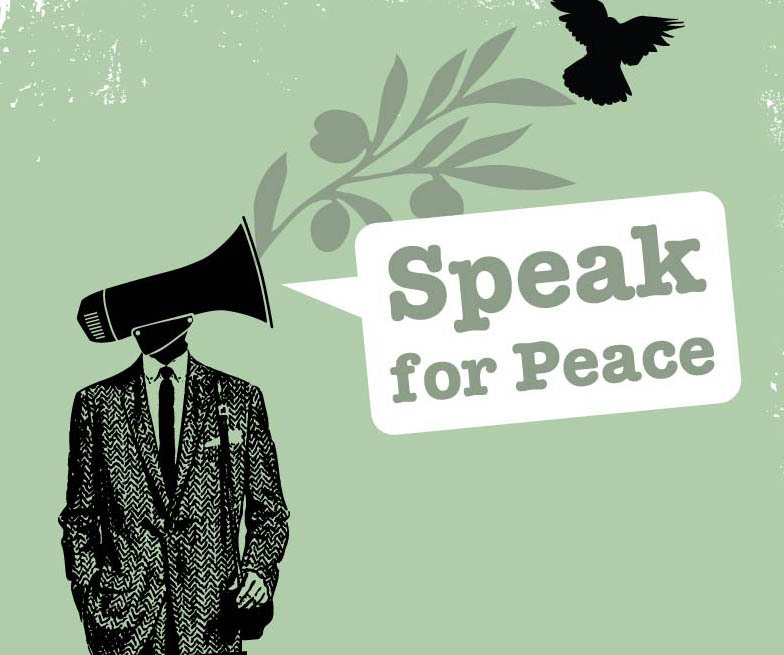 Speak for Peace will give you the chance to express yourself in support of peace in Cyprus, while also enjoying entertainment, food, music, competitions, sports and more! There will also be a basketball tournament by CCMC member Peace Players. Further information and invitations will be sent out soon, so please save the date! γνωριστούν μεταξύ τους και να αναπτύξουν δεσμούς. δικοινοτικής συγκέντρωσης για τη μέρα της ειρήνης την 1η Σεπτεμβρίου. Η 1η του Σεπτέμβρη ως μέρα ειρήνης σημειώνεται καλά από τους Τουρκοκύπριους με μια πορεία στους δρόμους που διοργανώνουν οι συντεχνίες τους. Πριν από τρία χρόνια και πριν από δύο χρόνια διοργανώσαμε την εκδήλωση δικοινοτικά μέσω κυρίως της Πλατφόρμας των Εκπαιδευτικών. Από ελληνοκυπριακής πλευράς η συμμετοχή δεν ξεπέρασε τις μερικές εκατοντάδες ενώ η συμμετοχή των τουρκοκυπρίων ήταν μαζική. Πέρυσι προσεγγίσαμε την ΠΕΟ η οποία ανέλαβε τη διοργάνωση με αποτέλεσμα τη σημαντική της μαζικοποίηση. Εφέτος δυστυχώς τα Ηνωμένα Έθνη εμφανίστηκαν κυρίως από πλευράς των αξιωματικών της αστυνομίας τους και του στρατού τους πολύ απαιτητικά στους όρους που έβαζαν για να μας παραχωρήσουν το χώρο και τελικά μάλιστα αρνήθηκαν με την αιτιολογία ότι η αίτηση μας έγινε αργά. Οι συντεχνίες μαζί και η δικοινοτική Πρωτοβουλία Ειρήνης στην οποία ανήκουμε ως Εκπαιδευτικοί κατήγγειλαν το γεγονός σε δημοσιογραφικοί διάσκεψη και προειδοποίησαν ότι θα διεκδικήσουν τη δυνατότητα χρήσης της περιοχής του Λήδρα Πάλας για ανάλογες εκδηλώσεις. Αριθμός τουρκοκυπριακών συντεχνιών και οργανώσεων με επικεφαλής την συντεχνία των εκπαιδευτικών Δημοτικής και Μέσης Παιδείας αποφάσισαν να πραγματοποιήσουν την εκδήλωση στο Λήδρα Πάλας χωρία την άδεια των Ηνωμένων Εθνών και να τα καταγγείλουν επί τόπου για την άρνηση τους. Ως ελληνοκυπριακό τμήμα της Πλατφόρμας βρεθήκαμε σε μια κάπως δύσκολη θέση και γιατί δεν είχαμε ανάλογή εμπειρία και φυσικά γιατί δεν θα θέλαμε να είμαστε σε διάσταση με την ΠΕΟ κυρίως ή τις άλλες συνιστώσες. Από την άλλη έχουμε συνηθίσει ως Πλατφόρμα των Εκπαιδευτικών να είμαστε στο πλευρό των Τουρκοκυπρίων συναδέλφων πράγμα που έγειρε την πλάστιγγα προς την μεριά της συμμετοχής. Μέχρι να γίνει ξεκάθαρο τι ακριβώς συνέβαινε και μέχρι να αποφασίσουμε ήταν αργά για να κάνουμε οργανωμένη κινητοποίηση. Στείλαμε όμως μια αντιπροσωπεία του Συντονιστικού και είχαμε έτσι μια μικρή συμμετοχή. Ήταν μια μαχητική εκδήλωση που κράτησε δύο περίπου ώρες στην οποία συμμετείχαν κάπου τρακόσια αγανακτισμένα άτομα. Σε κάποιο στάδιο βάλαμε κι ένα μαύρο στεφάνι στην πόρτα του Λήδρα Πάλας με την επιγραφή « ντροπή σας» στα εγγλέζικά. Η 1η Σεπτεμβρίου,καθιερώθηκε από την ΠΣΟ,ως Παγκόσμια μέρα δράσης των Συνδικάτων για την ειρήνη στην μνήμη της επίθεσης της ναζιστικής Γερμανίας κατά της ανθρωπότητας το 1939 και των εκατομμυρίων θυμάτων του ναζισμού και του φασισμού. Αυτή η μέρα,αποτελεί κάλεσμα για τον καθένα μας να διαδραματίσει τον δικό του ρόλο για την επικράτηση της ειρήνης στην χώρα μας και παγκόσμια. Σήμερα,66 χρόνια μετά το τέλος του πιο καταστρεπτικού πολέμου που έζησε η ανθρωπότητα,οι πόλεμοι και οι εχθροπραξίες συνεχίζονται σε όλες τις γωνιές της γης και ο κίνδυνος ο κόσμος να ζήσει την οδύνη νέων παγκόσμιων πολέμων μεγαλώνει. Την ίδια στιγμή,στον κόσμο που ζούμε αυξάνεται η οικονομική ανισότητα,η εκμετάλλευση,η αθλιότητα και η φτώχεια για μεγάλες μερίδες του παγκόσμιου πληθυσμού. Τα ζητήματα της αύξησης της ανεργίας,της μαζικής μετανάστευσης ανθρώπων για αναζήτηση αξιοπρεπούς ζωής,του νέου κύματος έξαρσης του ρατσισμού,της αλλαγής των κλιματικών συνθηκών και της μεγάλη καταστροφής στο περιβάλλον,είναι προβλήματα που επηρεάζουν αρνητικά τις ισορροπίες στον κόσμο και θέτουν την ειρήνη σε κίνδυνο. Εκφράζουμε την αλληλεγγύη και συμπαράσταση μας σ’ όλους τους λαούς που αγωνίζονται για ανθρώπινα και εργασιακά δικαιώματα,για την οικοδόμηση ενός καλύτερου κόσμου χωρίς ανισότητες και εκμετάλλευση. Ενώνουμε τη φωνή μας με τις φιλειρηνικές προοδευτικές δυνάμεις στον κόσμο που αγωνίζονται για παγκόσμια ειρήνη βασισμένη στον σεβασμό των αρχών του διεθνούς δικαίου,ενάντια στην ιμπεριαλιστική Νέα Τάξη Πραγμάτων,που όπως και σε προηγούμενες ιστορικές περιόδους,συνεχίζει να προκαλεί πολέμους και δυστυχία σε πολλούς λαούς και ειδικότερα στα κατώτερα στρώματα όλων των λαών. Στο μέσο της πιο μεγάλης οικονομικής κρίσης από την δεκαετία του 1930,οι εργαζόμενοι σε όλο τον κόσμο βιώνουν με τον πιο σκληρό τρόπο τις συνέπειες μιας κρίσης η οποία αποδεικνύεται πολύ πιο βαθιά και πιο μακρόχρονη απ’ ότι υπολογιζόταν. Πρόκειται ξεκάθαρα για κρίση του καπιταλισμού και του νεοφιλελευθερισμού που οδηγεί στη διεύρυνση των ανισοτήτων και στην υπόσκαψη του κοινωνικού κράτους. Είναι φανερό ότι το σύστημα επιδιώκει να μεταφέρει το βάρος των συνεπειών της κρίσης στις πλάτες των εργαζομένων. Συντασσόμαστε με τους εργαζόμενους όλου του κόσμου και δεν δεχόμαστε να πληρώσουν οι εργαζόμενοι την κρίση του καπιταλισμού. Στη χώρα μας,οι συνέπειες της παγκόσμιας κρίσης επηρεάζουν τους εργαζόμενους και ενώ ο εθνικισμός,ο ρατσισμός και ο νεοφασισμός είναι σε άνοδο,ο πιο σοβαρός κίνδυνος που αντιμετωπίζουμε είναι συνέχιση της de facto διαίρεσης του τόπου μας. Ο αγώνας για την ειρήνη και την επανένωση της χώρας μας,αποτελεί βασική και άμεση προτεραιότητα μας. Παραμένουμε σταθερά δεσμευμένοι στην προσπάθεια για λύση δικοινοτικής διζωνικής ομοσπονδίας με πολιτική ισότητα των δυο κοινοτήτων,όπως αυτή διαλαμβάνεται στις σχετικές αποφάσεις του ΟΗΕ και στα πλαίσια ενός κράτους με μια κυριαρχία,μια ιθαγένεια,μια διεθνή προσωπικότητα στην βάση των συμφωνιών της 23ης Μαΐου και της 1ης Ιουλίου 2008. Στηρίζουμε την διαδικασία των συνομιλιών και καλούμε τους ηγέτες των δύο κοινοτήτων να συνεχίσουν να εργάζονται ακόμα πιο εντατικά με στόχο την επίτευξη λύσης που θα επανενώσει την Κύπρο και θα την καταστήσει ελεύθερη,ανεξάρτητη και πατρίδα όλων των Κυπρίων. Ζητούμε οι διαπραγματεύσεις να συνεχιστούν εντατικά,μέσα σε πνεύμα εποικοδομητικό και με καλή πίστη,με μοναδικό στόχο την επίτευξη συμφωνημένης λύσης. Ζητούμε να διαφυλαχτεί η πρόοδος που έχει επιτευχθεί μέχρι σήμερα στο τραπέζι των συνομιλιών. Καλούμε όλα τα ενδιαφερόμενα μέρη στο διεθνές επίπεδο να εντείνουν τις προσπάθειες τους για εξεύρεση συμφωνημένης λύσης,σημειώνοντας ότι η παρέλευση του χρόνου δεν βοηθά το στόχο της λύσης,αλλά αντίθετα βοηθά στην εδραίωση της υφιστάμενης κατάστασης. Η συνάντηση που έγινε στις 7 Ιουλίου των ηγετών των δύο κοινοτήτων με τον Γ.Γ του ΟΗΕ,μπορεί να δώσει ώθηση στην διαπραγματευτική διαδικασία. Η συμφωνία,με την προτροπή του Γ.Γ για εντατικοποίηση των διαπραγματεύσεων και το άνοιγμα κεφαλαίων που δεν συζητήθηκαν επαρκώς στις διαπραγματεύσεις,μπορεί να δημιουργήσουν σημαντική πρόοδο αν επικρατήσει καλή θέληση και επιδειχτεί πραγματική βούληση. Αυτή είναι η προσδοκία αλλά και η απαίτηση μας. O κοινός αγώνας των εργαζομένων για επίλυση του Κυπριακού προβλήματος και επανένωση της Κύπρου θα συμβάλει σημαντικά στην παγκόσμια ειρήνη. Σε αυτά τα πλαίσια,επαναλαμβάνουμε την θέση μας για άμεση αποστρατικοποίηση ολόκληρης της Κύπρου μαζί με την λύση. Με αυτή την ευκαιρία εκφράζουμε την οδύνη και την θλίψη μας για την ανείπωτη τραγωδία που έπληξε την χώρα μας την 11 Ιουλίου. Στεκόμαστε αλληλέγγυοι στις οικογένειες των 13 αδικοχαμένων συμπατριωτών μας και εκφράζουμε τα συλλυπητήρια μας. Καλούμε όλους τους Κύπριους να ενωθούν μαζί μας την 1η Σεπτεμβρίου,για να σημειώσουμε την απαρχή νέων,μαζικών κοινών αγώνων για επίτευξη της ειρήνης και της επανένωσης. Καλούμε όσες οργανώσεις,Συνδικαλιστικές ή άλλα οργανωμένα σύνολα,συμφωνούν με το παρών κείμενο,να ενώσουν την φωνή τους μαζί μας για να δώσουμε βροντερό μήνυμα ότι η λύση και η επανένωση του τόπου μας,αποτελεί ύψιστη προτεραιότητα. Με αφετηρία την 1η Σεπτεμβρίου θα οργανώσουμε σειρά παρεμβάσεων με σημαντικό ορόσημο μια μεγάλη δικοινοτική εκδήλωση,το Φεστιβάλ ΕΙΡΗΝΗΣ και ΕΠΑΝΕΝΩΣΗΣ,που θα πραγματοποιηθεί τέλος Σεπτεμβρίου ή αρχές Οκτωβρίου. Λεπτομέρειες θα ανακοινωθούν τις προσεχείς ημέρες. 1 Eylül,Nazi Almanyası’nın 1939’da insanlığa karşı başlattığı saldırı ile nazizmin ve faşizmin milyonlarca kurbanının anısına,Dünya Sendikalar Federasyonu tarafından Sendikaların Dünya çapında Barış için Eylem Günü olarak ilan edilmiştir. Bu gün ülkemizde ve dünya çapında barışın hâkim olması için her birimizin kendi üzerine düşen görevi yerine getirmesi için bir çağrıyı teşkil etmektedir. Bugün,insanlığın yaşadığı en yıkıcı savaşın sona ermesinden 66 yıl sonra,dünyanın dört bir yanında savaşlar ve saldırılar,insanlığın yeni dünya savaşlarının acısını yaşaması tehlikesi devam etmektedir. Aynı zamanda,yaşadığımız dünyada nüfusun büyük kesimi için ekonomik eşitsizlikler,sömürü,sefalet ve yoksulluk artmaktadır. İşsizliğin,insanca yaşam isteğiyle toplu göçün,ırkçılığın yaygınlaşmasının,iklimsel değişikliklerin ve çevrede büyük yıkımın artması meseleleri dünyada dengeleri olumsuz yönde etkilemekte ve barışı tehlikeye sokmaktadır. İnsan ve çalışma hakları için,eşitsizliklerin olmayacağı daha iyi bir dünya için mücadele eden bütün halklarla dayanışmamızı ifade ediyoruz. Daha önceki dönemlerde de olduğu gibi,pek çok halkın savaşlar yaşamasına,bütün halkların özellikle alt katmanlarının büyük acılar çekmesine yol açan emperyalist Yeni Dünya Düzeni’ne karşı,uluslararası hukukun ilkelerine saygı temelinde dünya barışı için mücadele eden dünyanın her yerindeki barış yanlısı ilerici güçlerle sesimizi birleştiriyoruz. 1930’lu yıllardan bugüne en büyük ekonomik krizin içerisinde,hesap edilenden çok daha uzun ve derin olduğu kanıtlanan bir krizin olumsuz sonuçlarını dünyanın her yerinde çalışanlar en sert bir biçimde yaşamaktadırlar. Bu çok net bir şekilde kapitalizmin krizidir;eşitsizlikleri arttıran ve sosyal devletin altını oyan neoliberalizmin krizidir. Krizin olumsuz sonuçlarını sistemin emekçilerin sırtına yüklemeye çalıştığı açıkça görülmektedir. Kapitalizmin krizinin bedelini çalışanların ödemesini kabul etmiyoruz ve tüm dünyanın çalışanlarıyla aynı saflarda yer alıyoruz. Küresel krizin sonuçları ülkemizde de çalışanları etkilemektedir. Milliyetçilik,ırkçılık ve neofaşizm yükseliş göstermektedir. Karşı karşıya olduğumuz en ciddi tehlike memleketimizin defakto bölünmesinin devam etmesidir. Barış ve ülkemizin yeniden birleşmesi için mücadele bizim temel ve acil önceliğimizi teşkil etmektedir. 23 Temmuz ve 1Mayis antlaşmaları temelinde tek egemenlikli,tek vatandaşlıklı ve tek uluslararası kimlikli bir devlet çerçevesinde ve BM’nin ilgili kararlarında belirtildiği şekilde iki toplumun siyasi eşitliğiyle iki bölgeli iki toplumlu federasyon çözümü çabasına istikrarlı bir biçimde bağlı olmaya devam ediyoruz. Görüşmeler sürecini destekliyoruz ve iki toplumun liderlerini Kıbrıs’ı yeniden birleştirecek,tüm Kıbrıslıların özgür,bağımsız vatanı kılacak çözüme ulaşma hedefiyle daha yoğun bir biçimde çalışmaya devam etmeye çağırıyoruz. Müzakerelerin üzerinde anlaşmaya varılacak çözüme ulaşma yegâne hedefiyle,yapıcı bir ruh içerisinde ve iyi niyetle yoğun bir biçimde sürdürülmesini istiyoruz. Görüşme masasında bugüne kadar sağlanan ilerlemenin korunmasını talep ediyoruz. Zamanın geçmesinin çözüm hedefine değil,tam aksine mevcut durumun kalıcılaşmasına yardım ettiğini kaydederek,üzerinde anlaşmaya varılacak bir çözümün bulunması için uluslararası düzeyde ilgili bütün tarafları çabalarını yoğunlaştırmaya çağırıyoruz. İki toplumun liderlerinin BM Genel Sekreteri ile 7 Temmuz’da gerçekleştirdikleri görüşme müzakere sürecine ivme kazandırabilir. BM Genel Sekreteri’nin teşvikiyle,müzakerelerin yoğunlaştırılması ve müzakerelerde yeterince tartışılmamış başlıkların açılması yönünde anlaşma iyi niyet ve gerçek irade gösterilirse önemli ilerleme yaratabilir. Beklentimiz ve aynı zamanda talebimiz budur. Kıbrıs sorununun çözümü ve Kıbrıs’ın yeniden birleşmesi için çalışanların ortak mücadelesi dünya barışına önemli katkıda bulunacaktır. Bu çerçevede,çözümle birlikte tüm Kıbrıs’ın derhal askersizleştirilmesi tezimizi tekrar ediyoruz. Bu vesileyle,11 Temmuz’da ülkemizi derinden yaralayan büyük trajediden duyduğumuz acıyı ve üzüntüyü dile getiriyoruz. Canlarını yitiren 13 yurttaşımızın ailelerine dayanışmamızı ve taziyetlerimizi ifade ediyoruz. Barış ve yeniden birleşme hedefiyle yeni,kitlesel ortak mücadelelere başlamak için tüm Kıbrıslıları 1 Eylül’de bizimle birlikte olmaya çağırıyoruz. Çözüm ve ülkemizin yeniden birleşmesinin en önemli öncelik olduğu mesajını güçlü bir şekilde duyurabilmemiz için,bu metinle hemfikir olan tüm örgütleri,sendikal ve örgütlü yapıları seslerini bizimle birleştirmeye çağırıyoruz. Eylül ayı içerisinde gerçekleştirilecek iki toplumlu büyük BARIŞ ve YENİDEN BİRLEŞME Festivali ile doruğuna ulaşacak bir dizi etkinliği 1 Eylül’den itibaren organize edeceğiz. Bu konuyla ilgili detayları önümüzdeki günlerde açıklayacağız. Εκφράζουμε την απογοήτευση και τη διαμαρτυρία μας για το γεγονός ότι οι στρατιωτικές αρχές της ειρηνευτικής δύναμης των Ηνωμένων Εθνών αρνήθηκαν να επιτρέψουν στις οργανώσεις μας να γιορτάσουν με δικοινοτική εκδήλωση στο χώρο της νεκρής ζώνης,την Παγκόσμια Μέρα Δράσης των Συνδικάτων για την Ειρήνη. Θεωρούμε αυτή την απόφαση ανακόλουθη και ασύμβατη με το ρόλο και τον προορισμό της Ειρηνευτικής δύναμης αφού δημιουργεί εμπόδια στην πραγματοποίηση μιας ειρηνικής,δικοινοτικής δραστηριότητας,η οποία έχει ως μοναδικό σκοπό την επαναπροσέγγιση μεταξύ των εργαζομένων της πατρίδας μας και την στήριξη της ειρηνευτικής διαδικασίας που βρίσκεται σε εξέλιξη κάτω από την αιγίδα του Γενικού Γραμματέα των Ηνωμένων Εθνών. Η επίκληση από πλευράς των αξιωματούχων της UNFICYP πρακτικών δυσκολιών και λόγων ασφάλειας δεν τεκμηριώνονται και για μας ακούεται απλά ως δικαιολογία. Οι οργανώσεις μας επιφυλάσσονται να διεκδικήσουν με διάφορους τρόπους το δικαίωμα να πραγματοποιούν δικοινοτικές εκδηλώσεις ειρηνικού χαρακτήρα στην ζώνη που ελέγχουν οι δυνάμεις των Ηνωμένων Εθνών.